The Gate produces most of its work in-house. 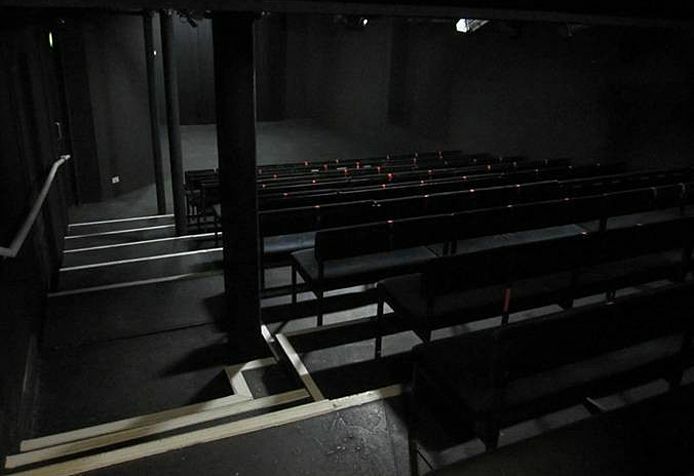 On occasion, the theatre is available to hire for non-public events around our produced programme of work. Our space is suitable for a whole host of events such as; meetings, rehearsals, presentations, corporate away-days, filming, castings and much more! Our intimate theatre space sits above the Prince Albert pub and seats a maximum of 75 people. We will not always know in advance the seating configuration of our auditorium, as our theatre is ever transformable with each show we produce. Unfortunately, our space is not wheelchair accessible, but must be accessed by 25 steps. During the evening, you may get some noise bleed from the pub below. We hire out our space without a lighting rig, offering the space with our basic working lights only. We can, on occasion, organise a more detailed set up, but this must be agreed in advance. We do not have a license to sell alcohol and there are no catering facilities at the Gate, but we will happily recommend our Notting Hill favourites. We do not have standard “off the shelf” hire rate. We will consider your requirements, and prepare a quote based on that.